Intrinsic Quality has recently become a member of the Teradyne Support Network (TSN). We’ve been serving Teradyne customers with fixtures and programs for over 25 years and are pleased to have gained membership status. The Teradyne/GenRad products that Intrinsic Quality supports include the GR228X, TestStation, LH, LX, TestStation Duo, and the TestStation TSR with test innovations such as boundary-scan, OpensXpress and flash programming. 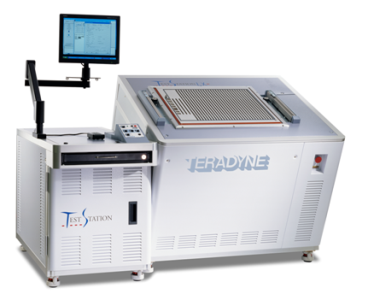 The TSN is designed to assist manufacturers find support products and services for Teradyne in-circuit testers, functional test equipment and other systems. The network consists of over 50 companies offering expertise on various Teradyne equipment and programming. These individually approved providers offer assured quality and support. The Teradyne Support Network is another powerful addition to Intrinsic Quality’s other strategic alliances, which include providing tech and sales support for SMH’s FlashRunner, and FEASA LED analyzers. Intrinsic Quality is also a XJTAG Technology Partner, providing test solutions and services with the XJTAG Development and Test System.